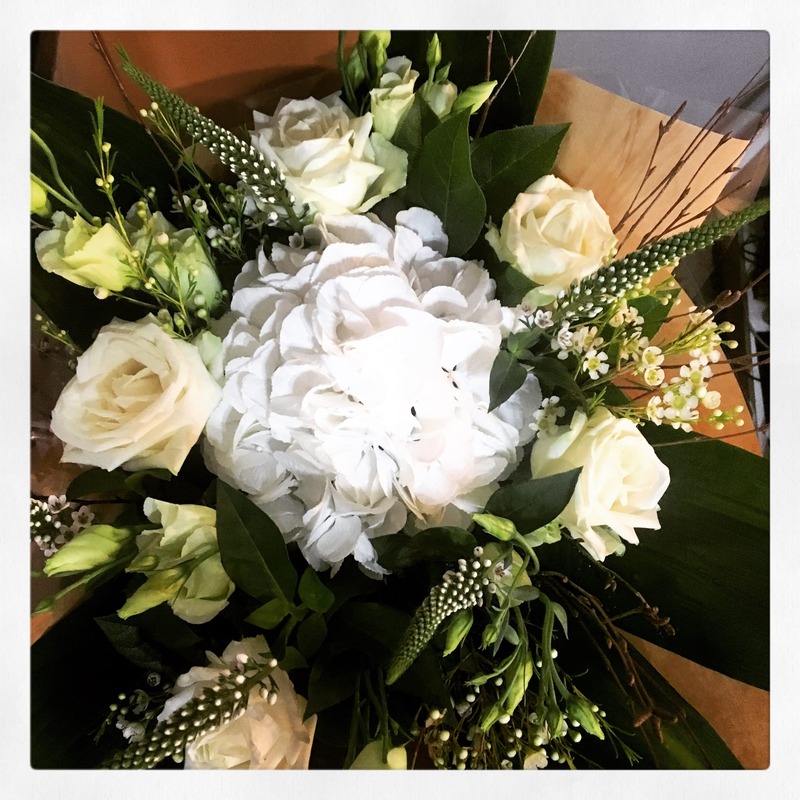 At Rosedale House we pride ourselves on supporting our customers through what can sometimes be an emotionally challenging situation. 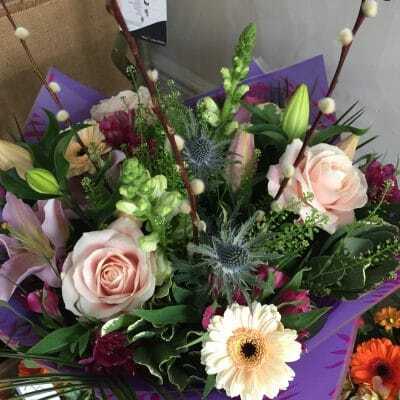 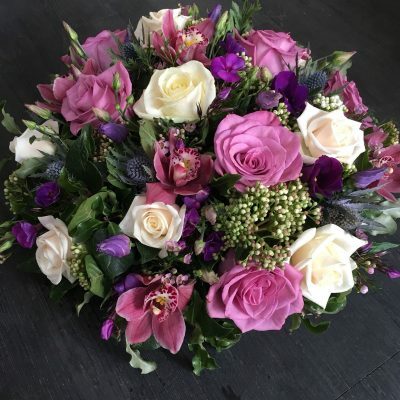 This delightful, hot pink bouquet, aqua packed bouquet of dark pink germini, chrysanthemums and roses will bring a smile to anyones face. 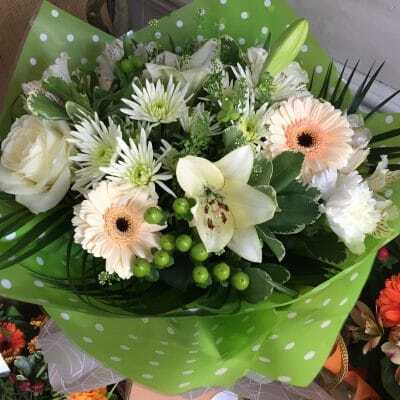 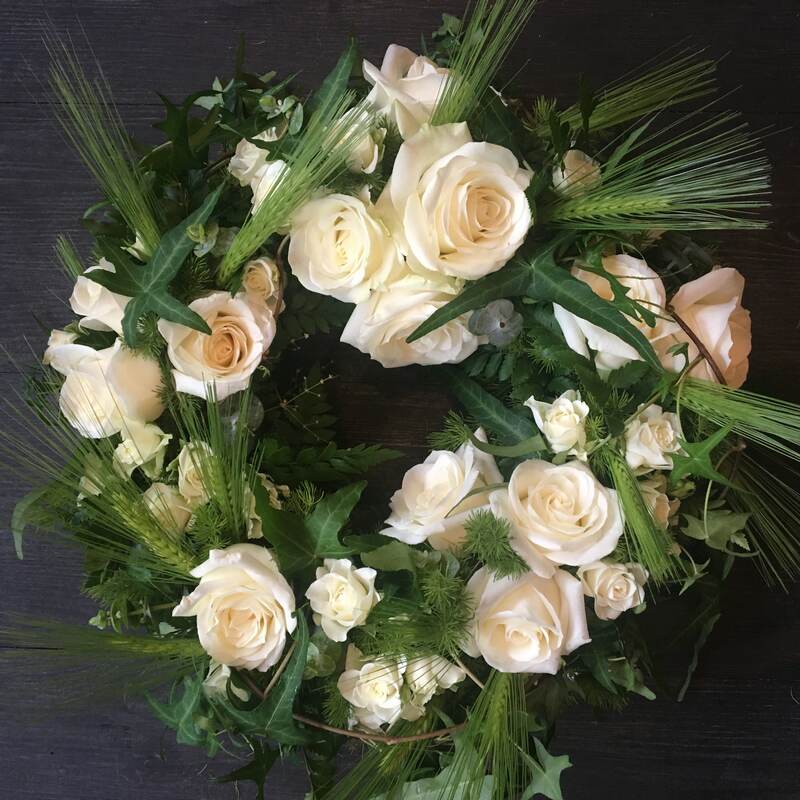 We offer a fully range of sympathy tributes from large sprays to 3 rose sheafs. 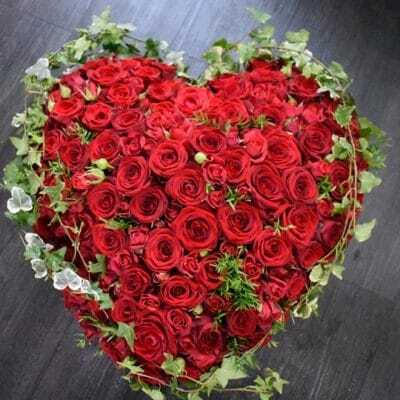 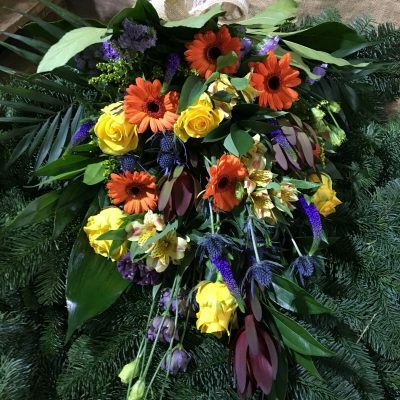 All tributes are personal and vary in colour shape and size depending on your specification. 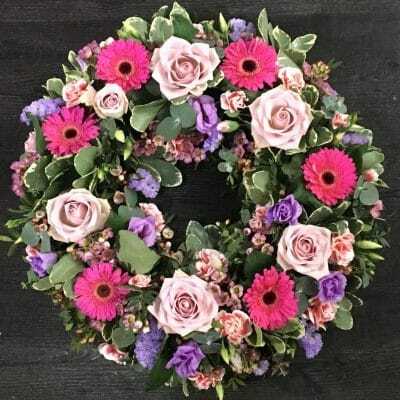 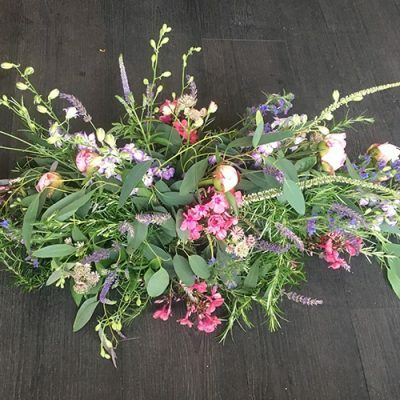 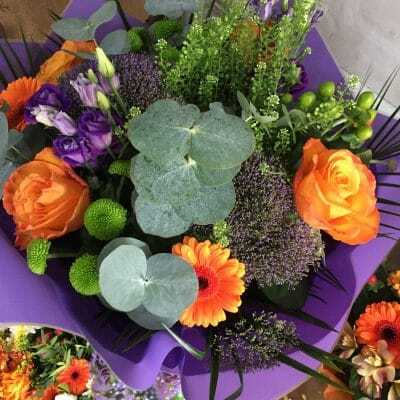 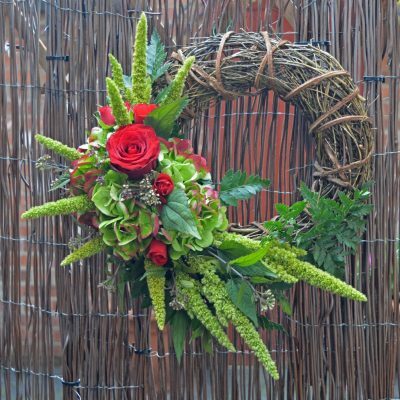 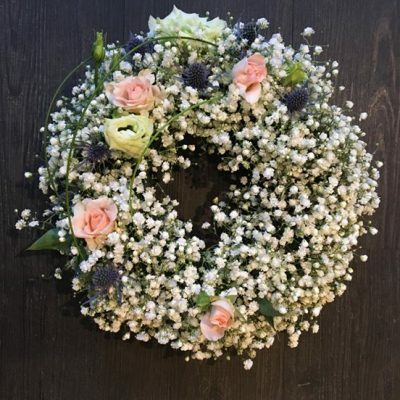 Arrangements can be traditional sprays, bright coloured wreaths through to living wreaths. 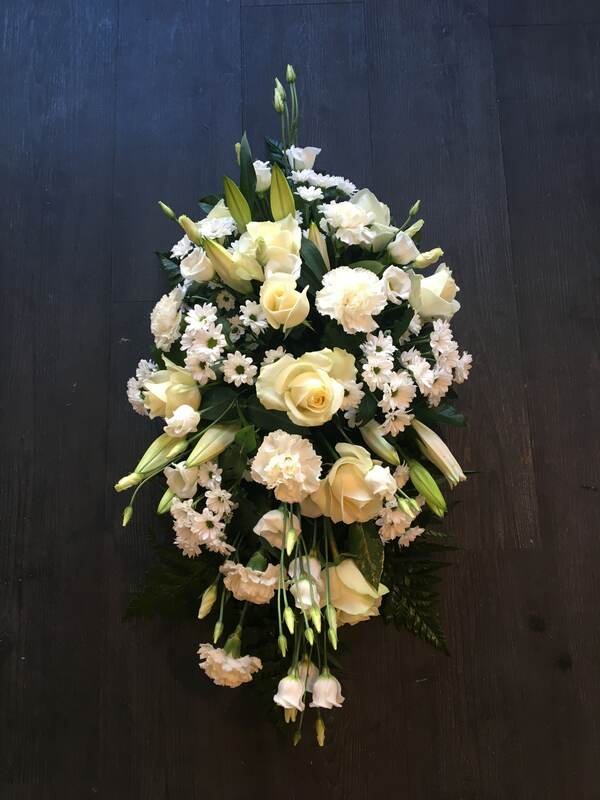 Come and discuss your ideas with one of our designers to ensure that your tribute makes the statement you want it to.